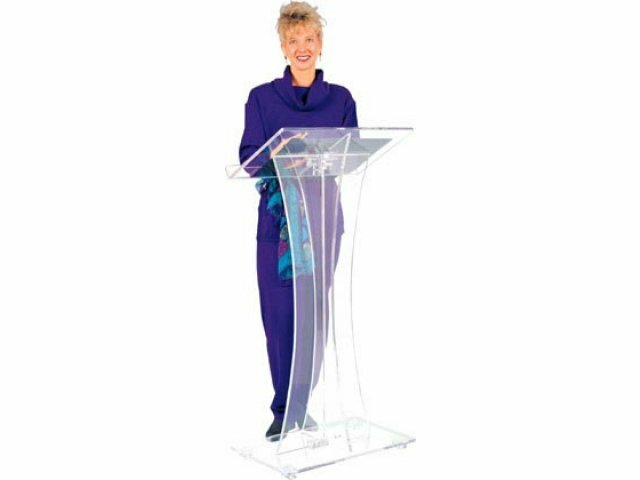 Acrylic podiums are the latest design that is becoming more and more popular in all sorts of settings. From the conference room to the church sanctuary, contemporary design emphasizes a lighter, more connected look. Lecterns that allow light to pass through help to remove barriers between a public speaker and his or her audience and enables the presenter form a quick bond with the crowd being addressed. 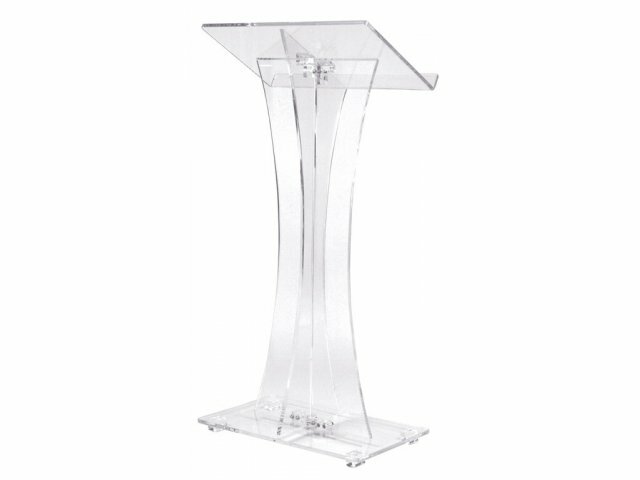 The acrylic podium has a contemporary, unique design. The curved podium ends in a large, raised reading surface with raised edge book stop. Present your ideas without distraction with an acrylic podium. Acrylic plexiglass is a special plastic that is stronger, lighter and clearer than glass. Practical: Raised-edge book-stop prevents notes and papers from sliding off during presentations. Comfortable Reading Space: Large-sized presenter platform offers an excellent space for papers, pointers and any other accessories. Smart Design: Angled surface enables easy note reading during lectures. 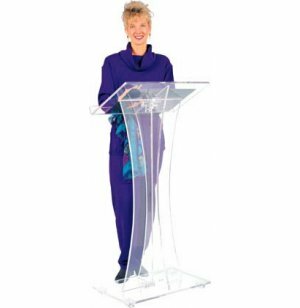 Contemporary Style: Curved acrylic podium has a light and airy appearance. Durable Material: Constructed from &frac38;" and ½" acrylic that won't break easily with normal wear and tear. 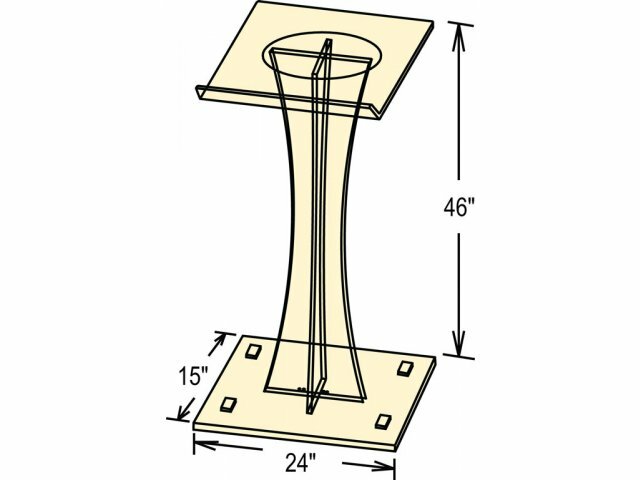 Elevated Base: Lectern base is slightly elevated. Versatile: Appropriate for sanctuaries or conference rooms.